The Mitchell Band Department is located on the second floor in the northwest corner of the campus. The band room is in the original part of the 1935 building that was a WPA project. You can see many "Art Deco" features throughout the original parts of Mitchell Middle School as well as in the band room! 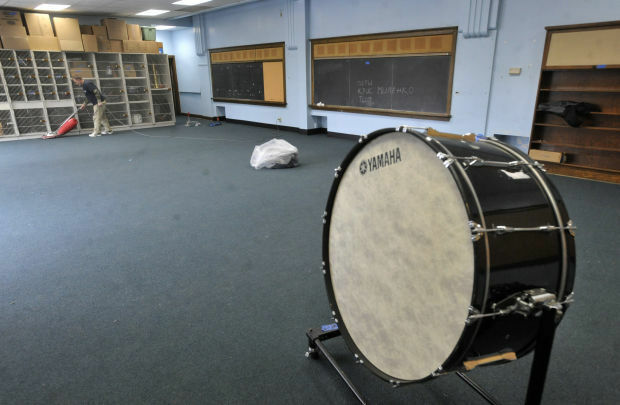 The current band room was first used as a multi-purpose 6th grade classroom. Extensive renovations in the early 1990's added air conditioning, a rehearsal space, music office and instrument storage room. 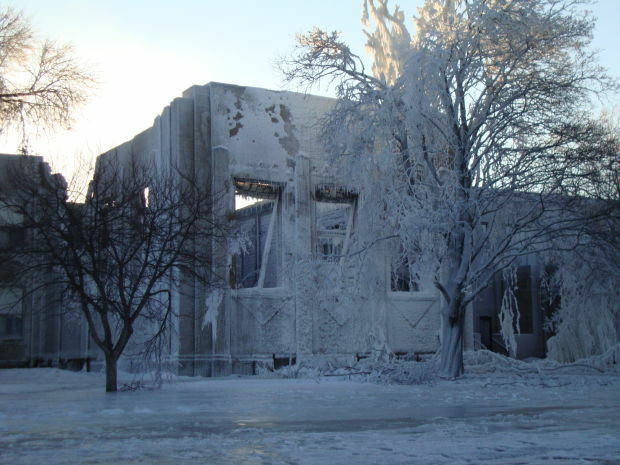 The band room suffered severe smoke damage after a recent fire in March of 2014 in the elementary gym (which is connected to the middle school complex). The middle school students were forced out of school for weeks and the elementary students had to move to another school for the rest of the year. 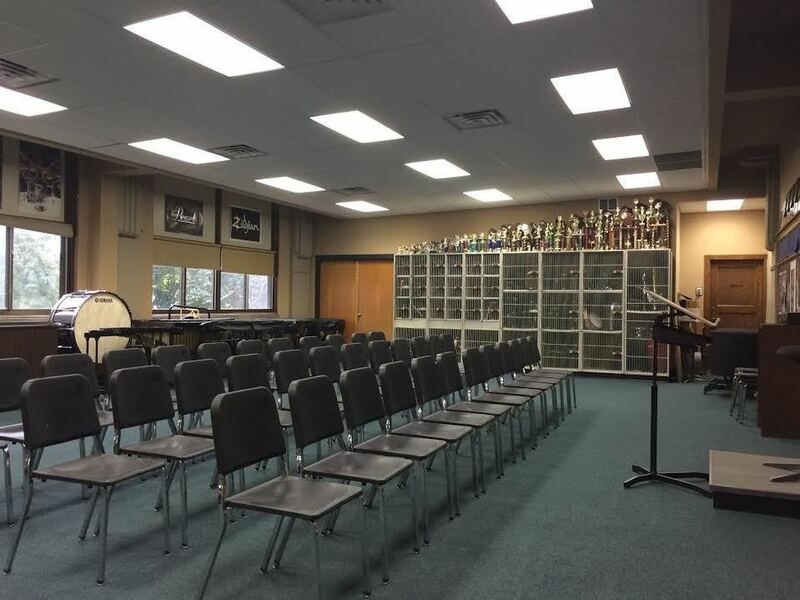 The band room, however, did receive new carpeting and ceiling tiles as well as having every inch of the space go through a massive cleaning. Mr. Rukavina was also ready for a change from the powder blue color of the band room! The week before the 2014/15 school year started he repainted the entire area! You will see before and after pictures below! Elementary school gym after the fire.